Whether creating your brand image or working with a client to create theirs, a cohesive brand vision is important. Brand vision goes beyond fonts, colors, and aesthetics. The brand is the story and ethos of the organization. Using a mood or vision board to craft and refine the organization’s story helps to create a brand that will become a customer favorite. We have all heard of vision boards, also known as mood boards. 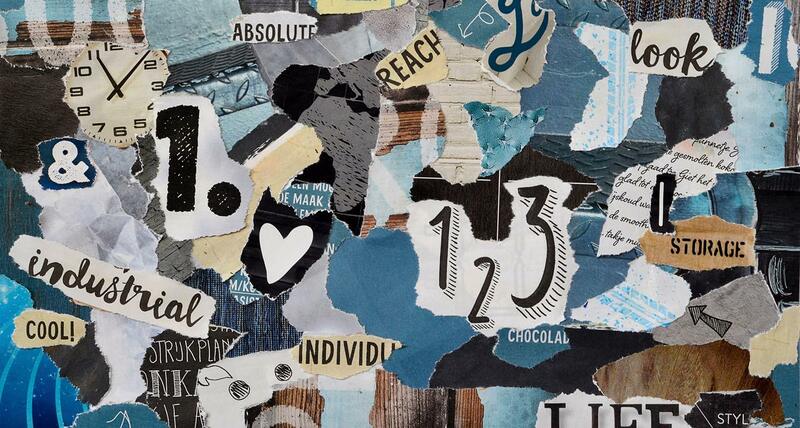 The reason that vision boards are so successful is that they give clarity and help focus the mind, identify your values, and hone in on your messaging. When you think about your favorite brands, what comes to mind? Is it the quality of their product or service? Is it their font choice or color theme? The chances are that those are part of what makes your favorite brand your favorite, but consistently — and without necessarily being consciously aware of it — the brand’s story is what makes a particular service or product your favorite. Let’s take a look at Warby Parker. Founded by four friends at Wharton in 2010, they revolutionized the way we buy glasses. They successfully identified the emotional, functional, and societal benefits of their products to create a brand that has become a cultural phenomenon. Another great example is Apple. Steve Jobs created an entire culture around the Apple brand, and nothing was left to chance. First and foremost, of course, was identifying a need in the market and creating a product for it. But careful attention was always placed on color, style, feel — of not just the products themselves, but the packaging. The ease of use of the products and their commitment to fully supporting and backing their products made Apple one of the most recognizable and sought-after brands today. 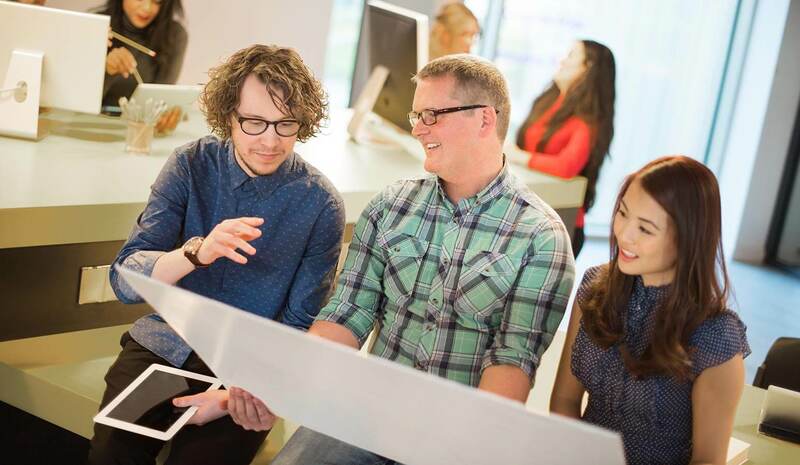 What the most successful organizations have in common is consistent brand messaging. They achieved that by being clear about their story and ethos. But getting to clarity in messaging is much easier said than done. There are so many reasons to get excited about your brand, but you need to be able to refine and focus your message so that it resonates with your employees — who are your brand ambassadors — and your target audience. This is where vision or mood boards come into play. Pinterest — Pinterest is, perhaps, the original electronic vision board. Pinterest lets you curate images from other curated collections. You can search by topic, keyword, or collection. Moodstream — You can search through the thousands of Getty Images with a highly refined search tool that lets you cull pictures based on orientation, location, and style. There are also settings that allow you to search for images based on your tasks — like creating a vision or mood board. Moodboard — When you want to make creating a vision board a collaborative effort, Moodboard makes that happen. You can add and edit photos, PDFs, and export and organize multiple boards. Sampleboard — This service lets you upload your images and organize them in a user-friendly shareable way. Once you’ve determined what medium you’ll be creating your vision board in, it’s time to begin the real work of creating your brand vision. Neil Patel discusses How to Create an Authentic Brand Story That Actually Improves Trust. Like every good story, you need to answer some important questions to help you find your scope. When you identify your vision, you’ll create a better brand story. What is your product or service? This is a great place to figure out if you’re offering too much, too little or just the right amount. Really examine your offering and make sure that everything meshes in a way that would make sense to someone outside of your organization. Who is your target audience? Not even chocolate makes everyone happy, as hard as that is to believe. What you offer is intended for a specific audience, and you need to identify who they are so that you can tailor your brand message to them. How are you going to add value to your customers’ lives? What problem do they have that you can resolve in a unique or compelling way? Why should your audience come to you instead of a competitor? This isn’t where you point out the competitions’ flaws. This is where you really get to speak about the benefits of your brand. Where can your audience find you and obtain your product or service? This is your call to action. Once you’ve answered these questions, it is time to create your vision board. Find images, words, colors, and fonts that embody your vision — making sure to skip anything that doesn’t clearly speak about your brand. For instance, serendipity is a wonderfully delightful word, but not really appropriate if what you specialize in is data security. Make sure to choose color schemes that compliment the messaging rather than detract from it. If you are a holistic health company, you may want to skip loud colors like reds and oranges and opt for pastels in green and blue tones. Conversely, if you specialize in risk analysis and threat detection, you may want to go with reds, black, or grey — colors all that connotes seriousness. Using visual metaphors for your brand is a great way to speak without words. Sometimes an idea is just this side of too abstract to express in words clearly. If you are a home and family brand, the Danish word “hygge” (loosely translates to “fun”) is a wonderful word, but not one that translates easily into English. In this instance, using images that convey warmth, coziness, and a homey feeling will more accurately express your brand story than trying to define it in words. After you’ve completed your vision board, it’s essential to test it with an audience that you trust to give you honest feedback. It’s completely normal to become wedded to our ideas and vision, but that makes it difficult to see the messaging from an outside perspective. The point of the vision board is to get your ideas down in a cohesive manner and see if they resonate with your audience before you commit to large advertising and marketing spends. 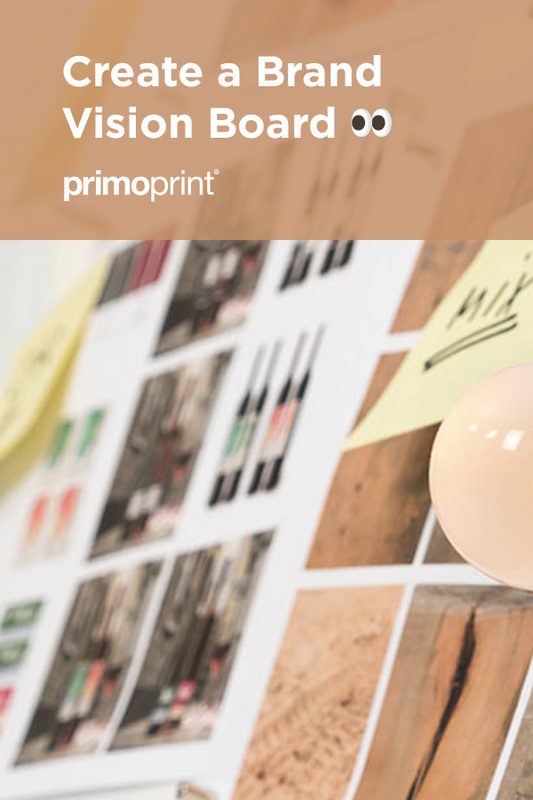 Vision boards are remarkably useful tools for creating a brand story that will take you from good to great. By honing your messaging, targeting it to your audience, and making your story compelling, you will create a useful tool for creating your company’s marketing. By creating an impactful brand story, you can keep your organization in front of mind for your customers.